When you think about software piracy, you probably think of shady, underground cybercriminals looking to make money by selling counterfeit copies of expensive programs. While that’s certainly a serious problem for software developers and for the consumers who purchase the fake programs, there’s an even bigger issue in the fight against software piracy: abuse of software licensing. In many cases, software piracy in an enterprise is inadvertent. Perhaps you hire an assistant or intern who needs access to a graphic design program. Rather than purchase new software, you simply install your existing software onto the machine, not realizing that you need an additional license in order to do so. Or perhaps you can’t afford to purchase software for everyone, so you install a program on all of your employees’ machines under a single license, thinking it doesn’t matter. Either way, whether you do it by accident or on purpose, you’ve engaged in piracy, and software developers are cracking down on it. Even small businesses are feeling the heat from developers who have discovered users installing and using unlicensed versions of their programs. In a number of recent high-profile cases, businesses have been hit with tens of thousands of dollars in fines for unauthorized use of software — one small business received a $225,000 fine for having pirated software on the office computers. 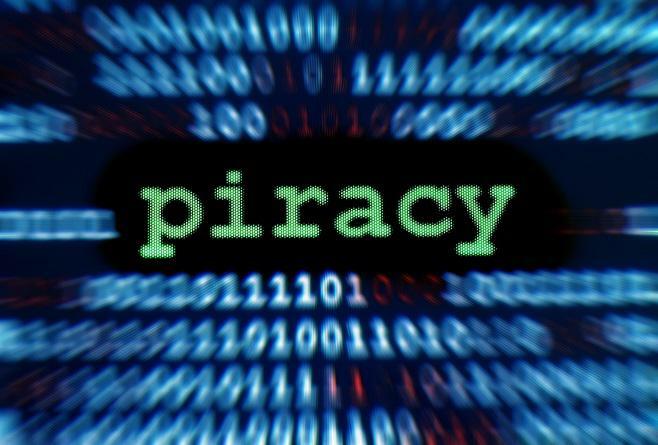 Because the risk of inadvertently engaging in software piracy is so high, and the consequences so costly, it’s important for companies to develop strict anti-piracy policies to protect themselves. According to the Business Software Association, an advocacy group for the global software industry, software piracy costs developers more than $3 billion each year — and contributes to the loss of more than 100,000 jobs. Computer software is protected under federal copyright law, meaning that it can only be copied with express permission from the software developer. Any unauthorized copying or usage constitutes theft, a punishable offense. Because software developers realize that buying multiple copies of the same piece of software isn’t necessarily practical for many small businesses, they monetize their programs via licensing. With licenses, a company can install the same program on multiple machines without purchasing individual software for each one. The problem is that some programs can be installed and used regardless of whether it has a valid license. 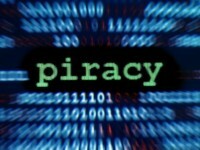 Some developers are cracking down on this practice by using programs like those found at www.safenet-inc.com. Developers are also customizing their programs to prevent unauthorized copying or inappropriate usage by blocking certain features or restricting access without the proper codes. In any case, as a business owner, it’s important for you to understand exactly what you have paid for when you purchase software and understand what is allowed and what is not. The BSA recommends keeping copies of your software licenses in one place, noting exactly where software is installed as well as the serial number, version number and date of installation. It’s also important to understand that a software upgrade does not negate the need for a license for every installation, both old and new. A software upgrade is not a new copy of the software, but an element of the existing program. You might be tempted to install an older version of a program onto a machine without a license or allow employees to have the old version for their home computer but doing so is considered piracy. Many businesses of all sizes are now requiring employees to adhere to a software policy. It’s not enough to simply assume that your employees understand that software is protected under federal law and will avoid making unauthorized copies. If a developer discovers that you’re using unauthorized software, through either usage monitoring or a third-party audit, you will be liable for damages regardless of whether you knew that the copy had been made. With a policy in place — which includes a signed declaration from the employee — you add some protection. Your policy should outline what constitutes software piracy, as well as the civil and criminal damages that the employee could face should they be found guilty of copying software. While organizations like BSA conduct audits of companies based on reports of piracy, and software companies ensure compliance via monitoring, companies can avoid facing legal action and stiff fines by conducting their own regular audits to ensure that they are not using illegal software. In some cases, your IT department can use tools to block the installation of third-party software without authorization, or monitor in-house computers for unauthorized duplicates of software. Addressing software piracy within your organization is important. By keeping track of which programs are installed on which computers, you not only protect your bottom line but also help protect the integrity of your company and the software industry.